Spiders are a favorite among many people thanks to their ability to cut down on insect pests and their unique eight-legged form, but others find them terrifying. Spiders come in a remarkable range of sizes and colors, which usually stem from their differing natural habitats. The distinct color patterns of different species often serve as camouflage or a warning to predators. Over 3,400 species of spiders inhabit North America. Some of them have characteristic white markings or spots, which are obviously easier to pick out when the rest of the spider is black or at least a dark shade of brown. This well-known creature, which comes in a variety of subtypes, is a brown spider with white spots. It is one of a considerable number of spiders in Kentucky, though it is found in other places with similar climates. They can be easy to miss, as they are about the diameter of a dime, a 1/2 inch or so. They come in a range of mostly drab colors, but the bold jumping spider is black with several white markings, including a pattern on its rear portion that looks like an upside-down smiley face. The regal jumping spider has a similar appearance, and is found predominantly in the Florida peninsula but is also scattered throughout the southeastern U.S. The parson spider is brown except for the white coloration on its back. This is more of a stripe than a dot, and has been said to resemble a cravat, the thin type of necktie favored by some men. This extremely quick spider is found all over the U.S., and it does have a venomous bite. This venom is not problematic for most people but can cause an allergic reaction in some. "Wolf spider," like "jumping spider," actually refers to a general subclass of spiders rather than a single species. In most instances, this is a spider with striped legs and a body size ranging from about a 1/4 inch long to over 1.25 inches long. The largest type found in North America is the Carolina wolf spider, which despite its name is found throughout the continent. This spider has a tan line running down the middle of its back, but has white trim around both its abdomen and cephalothorax. 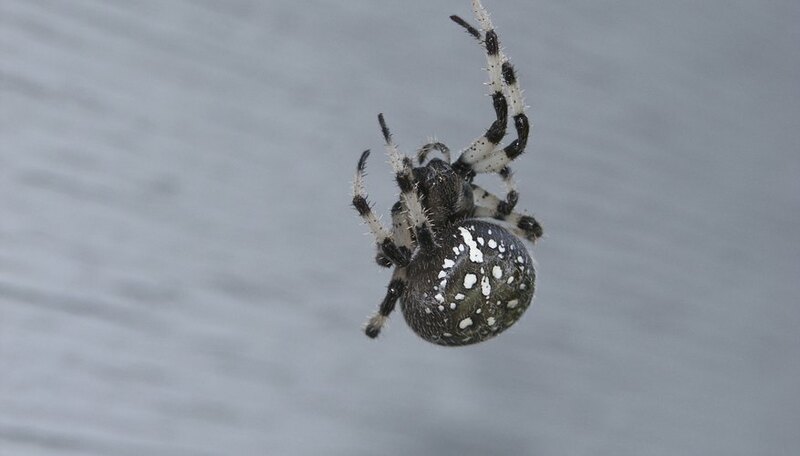 The purseweb spider is among the countless kinds of spiders in Kentucky and throughout the U.S. Southeast. In contrast to the other spiders mentioned here, most of which have white spots and markings on their abdomens, the purseweb's white markings are directly behind its sizable fangs, and are oriented horizontally (perpendicular to the head-abdomen axis). 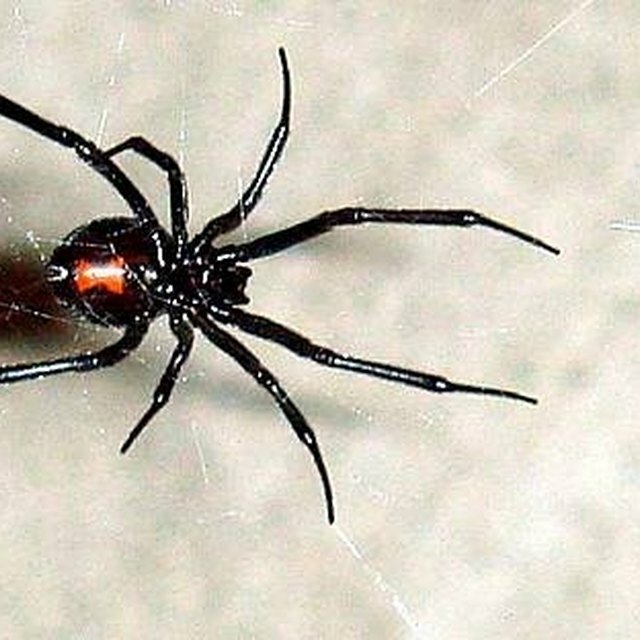 They are occasionally mistaken for black widows, owing to their size and general shape, but lack the black widow's distinctive red hourglass marking. Beck, Kevin. "How to Identify Spiders With White Spots." Sciencing, https://sciencing.com/identify-spiders-white-spots-7765798.html. 20 July 2018.